Launching venue book at the workshop, joined the U.K.'s favourite vocal experts Dominic Peckham and Mark de Lisser in an energising and interactive vocal workshop as they impart pearls of wisdom and special tips to help you raise your game. In partnership with Bloomsbury Publishing. Trafalgar Square, London and live on BP Big Screens across the UK. Kenneth MacMillan's ballet of Shakespeare's star-crossed lovers is a classic of 20th-century ballet, and a heartbreaking match for Prokofiev's score. Created for The Royal Ballet in 1965, it's a key work in the Company's repertory and a must-see for ballet fans and newcomers alike. Presented by Dominic Peckham. The culmination of the NYCGB Summer performances take place in the stunning setting of Lincoln Cathedral under the direction of Dominic Peckham and Assistant Conductor - Adam Treadaway. With music from Campkin, Lassus, Young and Imogen Heap, join NYCGB for an evening devoted to Freedom and Acceptance. Throughout the ages composers across the world acknowledge the mystery of a greater being, and turn to music as their expression; so to do we embrace sounds both new and old and bring together our finest young singers for music by Whitacre, Stanford and Christiansen and fusions from Tiny Tempah and Bellatrix. The new "symphonised" version of Quadrophenia, an album originally released by The Who in 1973, orchestrated by Rachel Fuller, a professional composer, orchestrator and singer-songwriter. Trafalgar Square, London and on BP Big Screens across the UK. Live on BP Big Screens across the UK, presented by Dominic Peckham. An excellent cast including Christopher Maltman as Mozart's timeless anti-hero andDorothea Röschmann, Rolando Villazón and Albina Shagimuratova star in this mesmerizing production from The Royal Opera's Director of Opera, Kasper Holten, with spectacular designs from Es Devlin. Trafalgar Square, London, on Big Screens across the UK and worldwide online. Enjoy operatic royalty in Puccini's best-loved opera, presented by Dominic Peckham and broadcast live across the UK on BP Big Screens and worldwide online. International opera stars Anna Netrebko and Joseph Calleja lead a terrific cast in John Copley's exquisite production – don't miss your last chance to see this award-winning production, which The Royal Opera performs for the last time this Season. Have you ever wanted to say you’ve sung at Covent Garden? Now’s your chance! Join choral conductor and former member of The Royal Opera Chorus, Dominic Peckham, in performing extracts from Puccini’s La bohème. An evening of choral and orchestral devotion to the most precious gift of light from the critically acclaimed London Oriana Choir and No.1 selling orchestra The London Mozart Players and special guests. Join acclaimed conductor and chorus master for an innovative and inspirational journey through Verdi's tragic masterpiece with members of the cast and Jette Parker Programme at The Royal Opera House. Join Dominic and celebrity judges for the culmination of the incredible series of regional heats as BBC Radio Ulster broadcast live from The Ulster Hall to find the winner of School Choir of the Year. Whether as acts of pilgrimage, or the advancement of ideas and science, our lives are surrounded by journeys: this concert will take place at Coventry Cathedral, a building which itself has undergone extreme transformation over the last 1000 years. The programme will include Path of Miracles (Joby Talbot), Phoenix (Ola Gjeilo), Leonardo dreams of his flying machine (Eric Whitacre) and Pilgrim's Hymn (Stephen Paulus). Create a choral flashmob in 60 minutes to mark Easter Sunday in unforgettable style. 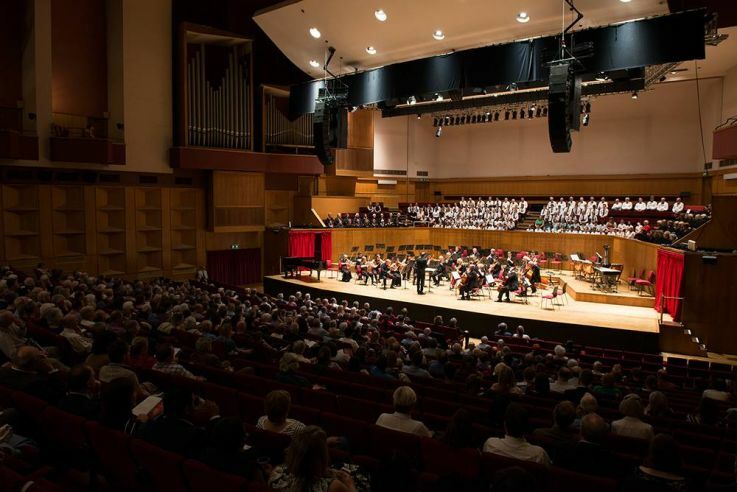 Join over 100 young singers from across the country, as The National Youth Choirs of Great Britain (NYCGB) descend on Southbank Centre in anticipation of their Queen Elizabeth Hall concert on Saturday 11 April. The session is led by Dominic Peckham, the NYCGB’s assistant music director, who has been hailed as ‘one of the most exciting conductors of his generation’. One of London's finest Chamber Choirs begin's their 2015 performance calendar with a rousing and inspirational programme of music celebrating the coming of a new season and a new dawn. 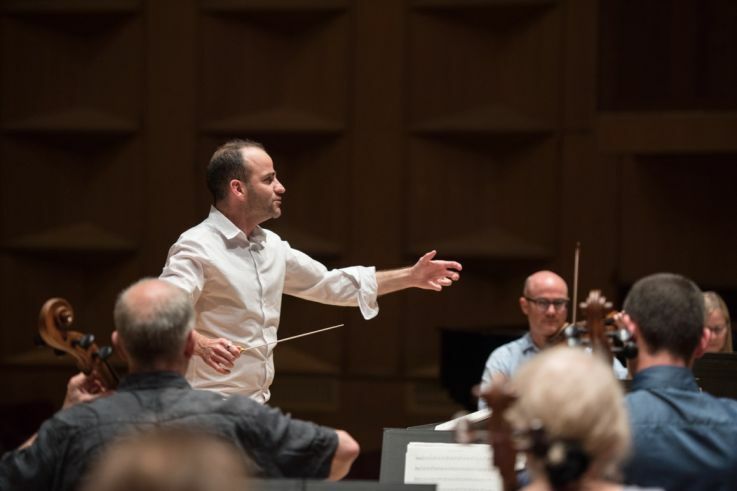 Join critically acclaimed choral conductor - Dominic Peckham in the mesmerising setting of Queens' College Cambridge for an inspirational weekend of choral development, hosted by Suzi Digy. On the eve of Mothering Sunday, join Dominic Peckham and The London Oriana Choir in the stunning setting of St Paul's Covent Garden for a spellbinding evening of choral music dedicated to the love of Motherhood. With music from Brahms, Jansson, Whitacre, Holst, Mozart and Allain. Join Britain's finest young singers under the direction of Dominic Peckham for this special performance in the stunning surroundings of the Chapel of The Royal Hospital School. The NYCGB Chamber Choir will be in residence throughout the weekend in preparation for their USA performances later in the week. Circlesongs - a festival of choral music from across the world and throughout the ages. Dominic travels to the beautiful and inspirational Kenya to work with their choirs and orchestras in association with Hillcrest International School, Nairobi. Join Royal Opera House Conductor and Presenter Dominic Peckham for a unique Sing-A-Long evening for all ages focused around Mozart's masterpiece 'Die Zauberflöte'. Comedy and philosophy unite in Mozart’s glorious The Magic Flute, brought enchantingly to life by David McVicar. Join critically acclaimed conductor and choral expert Dominic Peckham for a special day of workshops and masterclasses for The London Youth Choirs Scholars. By Invitation Only : An exclusive evening to celebrate the launch of London's leading LGBT Chamber Choir with a short performance by The Fourth Choir. Including a presentation from Artistic Director - Dominic Peckham and an exhibition of the work of Harrison Pearse.